VIII.1.7 Pompeii. 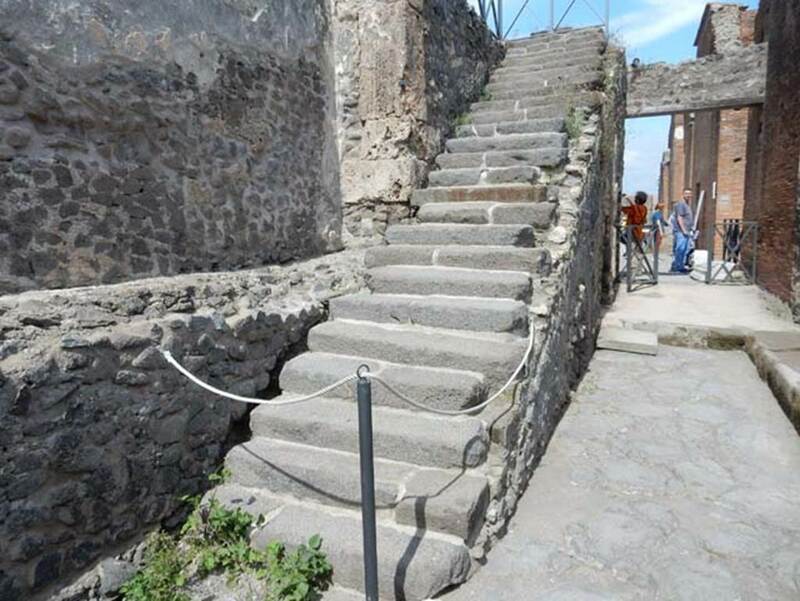 Steps to upper gallery of the Forum from Via Championnet. 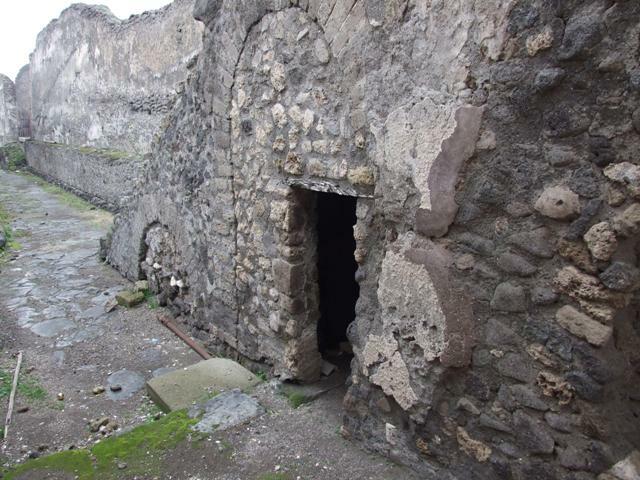 VIII.1.7 Pompeii, May 2018. 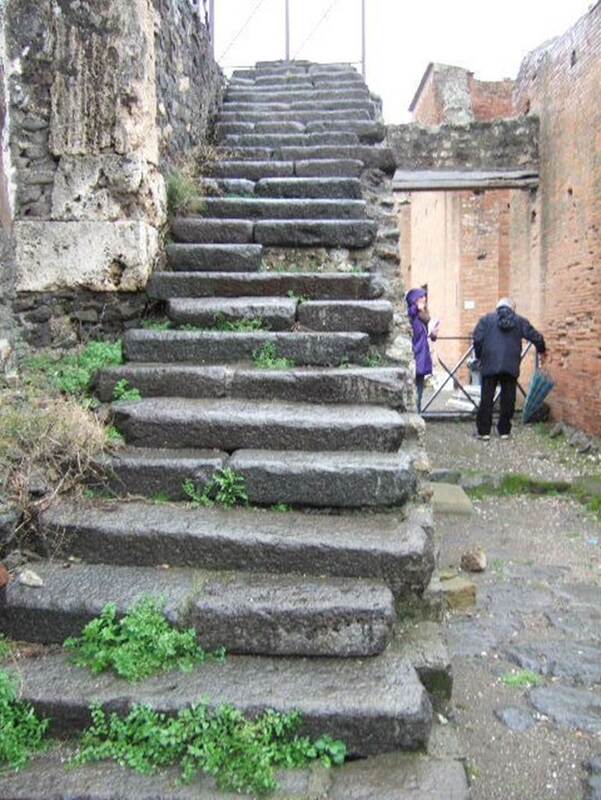 Stone steps leading to upper gallery, at the east end of Via Championnet. Stone steps to upper gallery of the colonnade about the Forum from Via Championnet. VIII.1.7 Pompeii. December 2007. Looking west along Via Championnet showing entrances under the stone stairs. Under the steps to upper gallery of the colonnade about the Forum from Via Championnet. The smaller arch has been filled in and the taller has also been filled in but a new doorway has been made. VIII.1.7 Pompeii. December 2007. Under steps to upper gallery of the Forum from Via Championnet. VIII.1.7 Pompeii. December 2007. 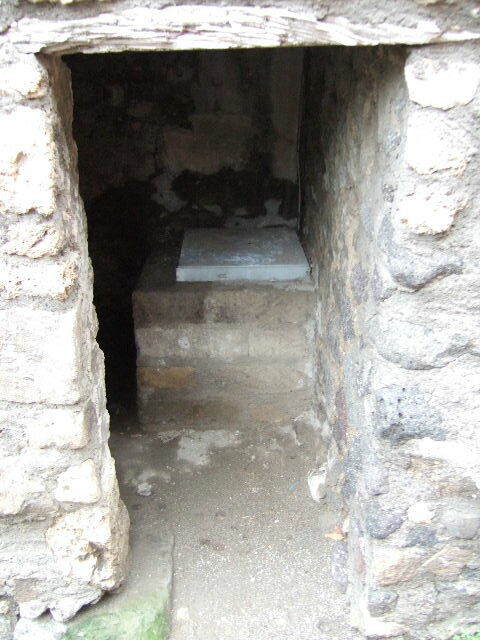 Under the steps to upper gallery of the colonnade about the Forum from Via Championnet. The smaller arch has been filled in. 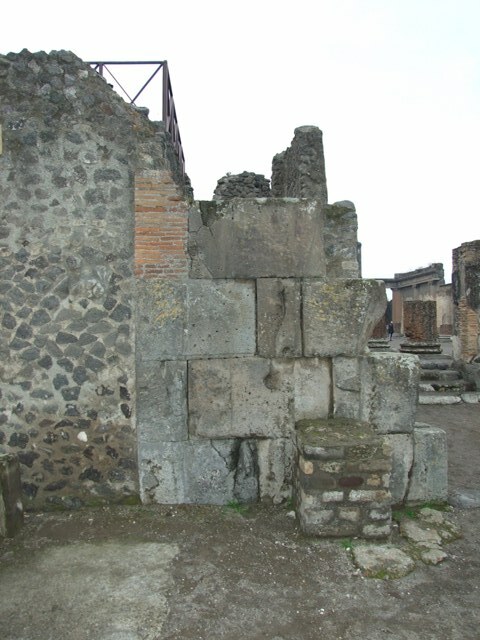 South east corner of the Basilica near VIII.1.7, Pompeii. December 2007. 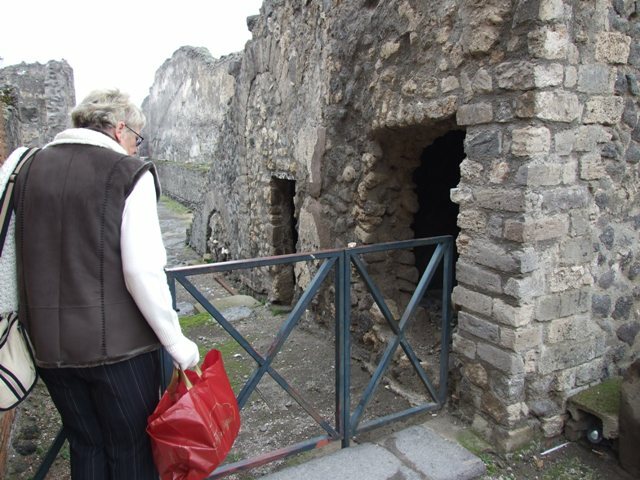 This shows the massive wall at the south end of the vestibule of the Basilica. 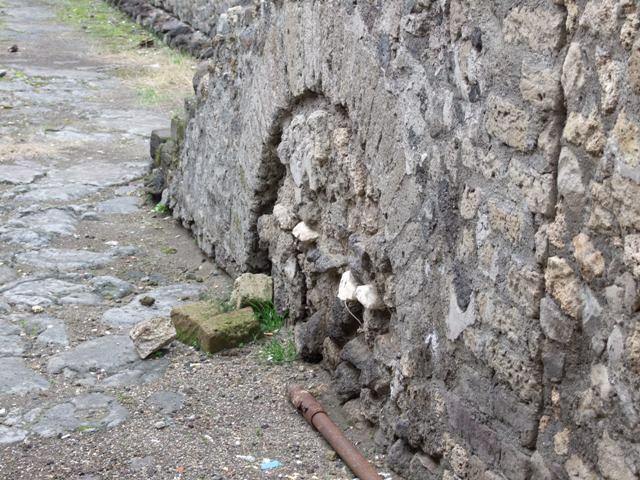 It conceals one of Pompeii’s deep wells.